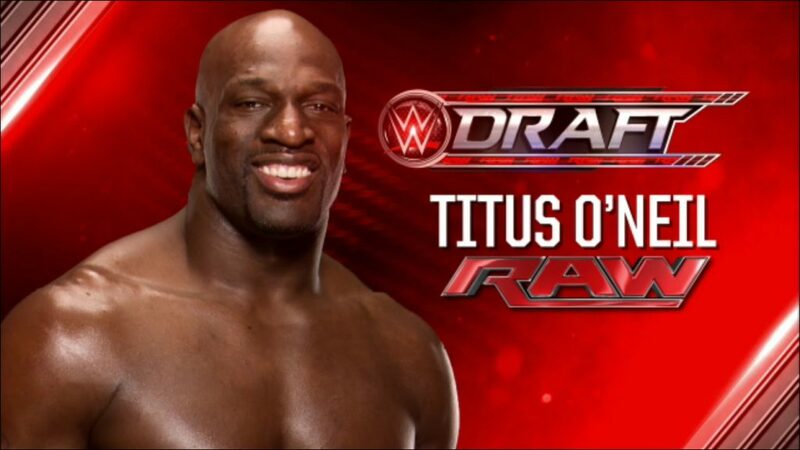 Titus O’Neil, real name Thaddeus Bullard has been a mainstay on the WWE roster since 2009. 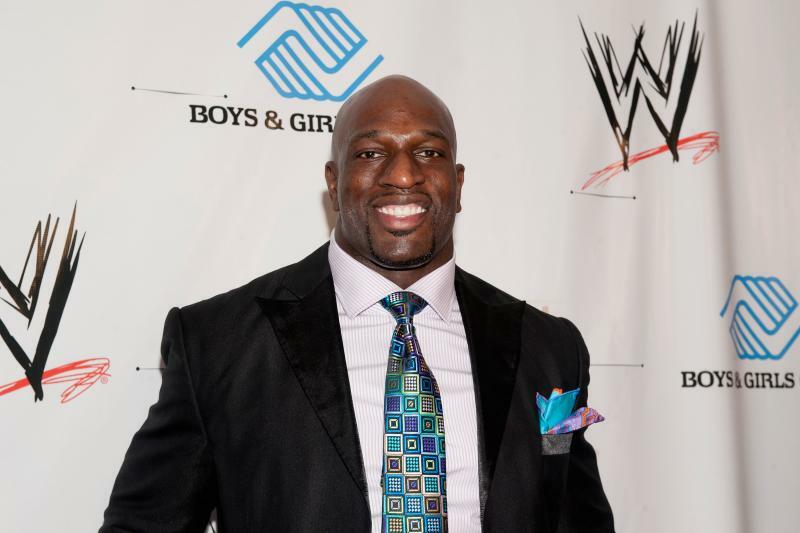 The former Florida Gator football player has been a tag team champion as part of the team, Prime Time Players. O’Neil will be on the card Friday, October 20 when WWE Live comes to Scottrade Center. The show starts at 7 p.m. Tickets are still available through Ticketmaster.com. ReviewSTL’s Jeremy Housewright recently had a chance to talk to Bullard about a wide range of topics. I had a chance to see your TED Talk and really found it moving. How did you get involved with getting the opportunity to do it? It’s kind of like one of those things where I was pitched three years ago and because of my profession, they were very apprehensive to allow me to do it. But after watching the product over the last three years, they decided it was worth a try to give me an opportunity to do it. One of the deans at UCLA also served at Dean of Students at University of Florida when I was there so she helped facilitate it. It was a long process as far as narrowing down the topic that I was going to talk about. But, it was one of the greatest opportunities and accomplishments I’ve ever had. In the TED Talk you talk about the Domino Effect. Can you talk about how you came up with that? I just try to take how different instances in my life that were positive situations gave me an opportunity to advance. I wanted to be able to facilitate love. I was the product of people who invested in me when they had nothing to gain in return. I think that’s the Domino Effect, when people are out doing random acts of kindness, investing in school and communities. That to me is what the Domino Effect is about. How important were athletics in your life growing up? Athletics helped keep me out of trouble and off the streets, so for me it was very important. Coming from a single parent home and pretty much an impoverished environment, I had two choices to pretty much play sports and try to make something of yourself or run the streets, drink, smoke and sell drugs and end up in the justice system. I didn’t want to live that life. Because of my stay at the Florida Sheriff’s Boys Ranch and the people there who invested in me, I was able to go from a failing student in a bad situation to being an honor student and a first generation college graduate. It’s been a point to me to kind of bring everything together. I know you do a lot of charity work with kids, how important is it to you to be able to do all that work? It’s very important to me because a lot of people don’t look at our youth as the leaders of tomorrow, they look at them as people who are making mistakes. They don’t look at them for what they are, they really are the future of our country and our world. When everybody is telling them what they can’t do, I want to be that motivator telling them what they can do. That comes from me being in a situation where people told me what I would not do my entire young life up until I was 13 or 14. I just try to get kids while they are still impressionable so they can see the value in themselves so they can go out and be as productive as possible. I want them to be themselves, be what god wants them to be. Being on the road as much as you are, is it a struggle when you go home to try to do everything with your family that you want to do and be super dad? No, I was super dad before I came to WWE. Family is most important to me. It’s always been important to me because I grew up without a father. I knew at a young age that I would always be there as a father. My kids have been involved with this business since they were young. That doesn’t mean they don’t get upset sometimes if I can’t make their game or miss a birthday party. Over the course of the last few years of being in this business we’ve adjusted. We celebrate birthdays when I’m home, even if it’s not their actual birthday. We celebrate holidays together like we would normally do. They travel with me a lot in the summer. The adjustment and the priority has always been for my family. They always know they come first. The road schedule is very grueling, but my family is always excited for me to come home because they know we are going to be a normal family. Do you think your sons would ever have interest in going into the wrestling business? Being a WWE wrestler, the fans see you on TV and at live events, but what are the things that fans don’t see that you do as a WWE wrestler? They don’t see a lot of our personal life. Everybody has family and friends that they haven’t seen in a long time. Everybody has hobbies they like to do. For instance, the fans don’t know I like to cook. One of the things I do when I come home is go to my cook book and go to the grocery store and plan what meals my family will eat when I get home. I like to go to restaurants. I’m a big foodie so I like to go to different places all around the country. Some of us are artists and like to draw. As far as what we do on television, that’s a small fragment of what we do. There are autograph signings and appearances at different events for Be A Star rally’s and Susan G. Komen events. There are things we participate in with the military. People don’t see that all the time unless they see it on TV and we are doing it week in and week out. Being a former football player, do you have any teams that you are a fan of? I’m actually a fan of my alma mater, the University of Florida. I’m a fan of college football period, and college basketball. In the NFL, I’m a fan of my hometown team the Tampa Bay Buccaneers. I mentor and work with some of the players. I have friends on all 32 teams and coaches. If I had to tell you who my favorite team was, it would be the Seattle Seahawks. I’m a huge Pete Carroll fan. I always respected him when he was at USC. Being a former football player, what would you say is the biggest difference between both professions? The schedule. There’s no offseason. We are doing this 5 days a week, where in football you will practice a few days a week and play a game. You will play 14 or 16 games a season then you’re off and back to training. You only get between 12 and 18 chances to play a game in football, where we are playing a game 3 to 5 nights a week, consecutive nights in a row, all over the world. Who is the best worker you have worked with inside the ring? I think everyone on the main roster is there for a reason. If you ask me who I have the most fun with I would say Rey Mystery, learning from him. But also, Roman Reigns, Dean Ambrose and Seth Rollins when they were The Shield the first time. Seth and Dean, especially, they are some of the most creative people ever when it comes to wrestling. Roman is a work horse. I don’t think people give him enough credit for what he does and the level he does it at. He really hasn’t been doing this that long. He came from a football background like myself and was placed in a position where he is the top guy. I love the guy and can’t say enough about him. WWE Live is coming to the Scottrade Center in St. Louis, MO tonight (Friday, October 20)! Visit WWE.com for more information, or Ticketmaster to purchase tickets.